Given the size of Teletrac Navman’s client base — 40,000 companies across the globe — it makes sense that the company meets a wide variety of needs. Teletrac Navman’s Director has a broad range of features, which is virtually all-encompassing, but is also customizable, allowing fleet managers to cherry-pick which features they find necessary. As a result, any fleet should find a version of Director that works for their specific needs, no matter how small or large. Director serves a range of industries including trucking, service, government, paving, concrete and construction, in addition to mixed fleets that may need to manage a variety of vehicles under the same platform. Once logged in to Director, managers will see a satellite view of their fleet on the right, with a itemized list of vehicles (or other tracked assets) on the left. From this dashboard, managers can view detailed, up-to-date reports of each vehicle’s movement and driver’s hours of service. They can also send out alerts to each driver, letting them know of traffic changes or updates to their schedules. As with most FMSs, hardware devices inside each vehicle record the data that is sent to the centralized manager dashboard. Since the data is sent by GPS signal within minutes, managers can easily track each vehicle’s performance, and quickly aid drivers who aren’t on track, saving valuable time without constantly staying on a finicky CB radio. Real-Time GPS Fleet Tracking: Naturally, you should expect excellent fleet tracking from a system designed specifically for this purpose. 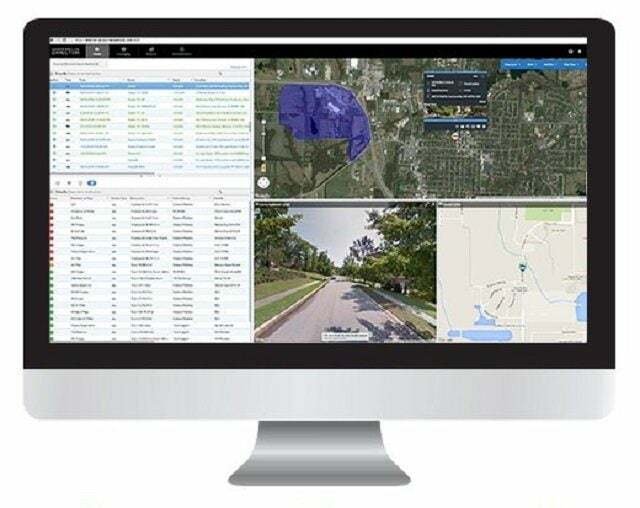 Teletrac Navman Director doesn’t disappoint: Managers can view their fleet via a bird’s-eye satellite view, a clickable list of vehicles, a GPS map, or a street-level camera (provided the vehicle in question has one installed). Two-Way Communication: The ability to wirelessly dispatch drivers is essential for an FMS. Director allows drivers to message dispatchers and vice versa, even offering canned responses to further streamline communication. Certain non-verbal check-ins — the locations a driver is travelling to, proof of delivery, and HOS compliance, for example — can be sent and received with the touch of a button or even automatically. 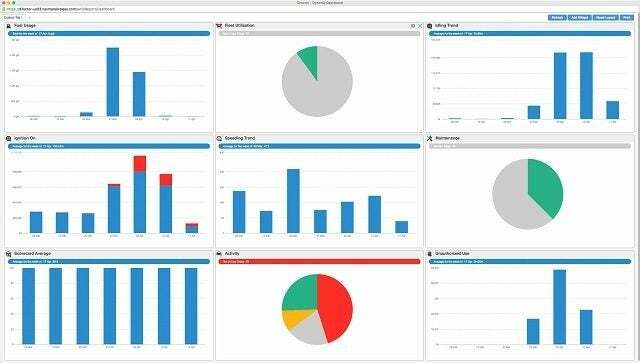 Dynamic Dashboard: Fleet managers can create a personalized version of their dashboard to collect all their key KPIs into a single screen. This gives managers an at-a-glance view of their fleet’s real-time status. Vehicle Diagnostics: The Director dashboard also displays data about the condition of a fleet’s vehicles: How much fuel has been used, when vehicles are idling, how proficiently drivers are meeting their drive goals, and whether any vehicles are in use without proper authorization. Meta-analysis shows that Director users see 12 percent fewer maintenance events and use 30 percent less fuel thanks to these diagnostic warnings. Driving Safety Alerts: Harsh or unsafe driving can take years off a vehicle and even lead to collisions. Director allows fleet managers to set alerts that instantly address poor driving, including idling, harsh turning or acceleration, speeding, and compliance violation. The alerts can be emailed to the right person automatically, and come with adjustable priority levels. By tracking and reducing poor driving habits, a fleet manager can cut costs on insurance or unexpected repairs. ELD Compliance: Director offers ELD-compliant data capturing abilities. As of December 2017, all commercial motor vehicle drivers in the U.S. must electronically track their hours of service and have their Record of Duty Status on hand to present when stopped for a roadside inspection. Through the Drive tablet application, drivers will be able to easily access the e-logs tracking their hours of service. 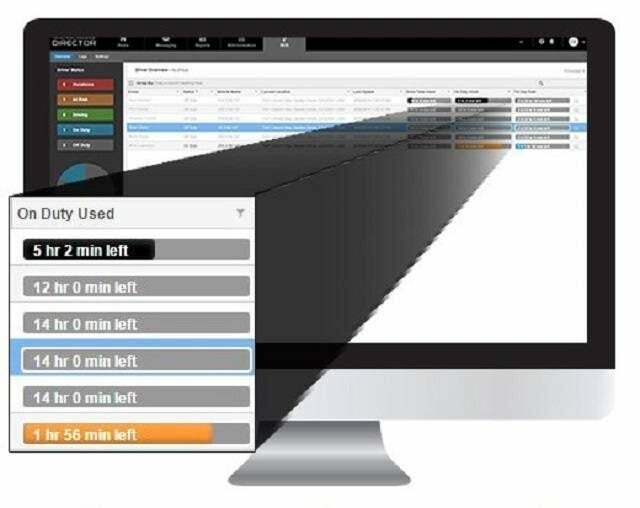 Watch Teletrac Navman’s Fleet Management system in action in this short video. 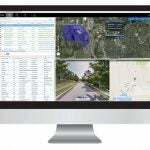 The video will take you through the main features of Teletrac’s Director software, from live GPS tracking and messaging, to custom analytics reports for factors such as driver efficiency scores or vehicle mileage. As you’ll see, it’s not difficult to set up, so you’ll be able to start reaping the benefits straight away. Please note: This video comes from Teletrac’s NZ Youtube Channel but shows the same software, available globally. The Drive App and software suite is Teletrac Navman’s in-cab solution for drivers. Managers use Director, but drivers use Drive. With it, drivers will be able to view and input data about their own vehicle. It’s a useful tool, as it displays, in real time, a driver’s remaining available hours. Using a tablet device provided by Teletrac Navman, drivers will be able to use touchscreen buttons to clock in or out of their work status, or to view vehicle information and past logs. Drive will auto-record the driver’s hours of service and vehicle diagnostic data, generating the e-logs and electronic driver vehicle inspection reports (DVIRs) that drivers will need when stopped for a roadside inspection. Since the interface uses just a handful of buttons, learning how to operate DriveApp won’t be a big learning curve. One downside to keep in mind when using Teletrac Navman’s in-cab tablets: They are only connected to the vehicle through a cradle installed on the dashboard. This makes them more mobile, but also means they’re easy to misplace. The company offers a free demo period prior to purchase. Set up is a simple process for most makes and models. Support staff can be reached via phone call or through email during work hours on weekdays, with slightly more limited hours on Saturday. Due to an influx of customers following the new ELD mandate in December 2017, Teletrac Navman has nearly doubled the size of its support team. An online help center is also available to answer a few of the more common concerns. As with all fleet management systems, pricing and plans can vary considerably depending on your needs and fleet size. We’ve written a guide about this. 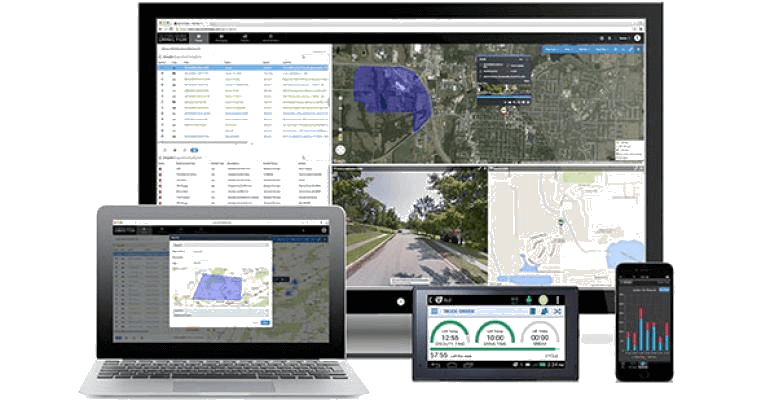 Generally though, most Teletrac Navman customers take out a multi-year contract that licenses the Director software, the hardware devices in each vehicle, and the in-cab Drive tablets and software. Teletrac’s prices are around the industry average, offering a reasonable deal but one that operators may be able to beat from other vendors. Want to see how Teletrac stacks up to its competitors? Try our quick comparison form for a variety of quotes from the top FMS providers. The Teletrac Navman Director FMS is a Tech.Co recommended product: It is a simple and customizable system that offers all the features a typical fleet manager should need. The company’s commitment to customer support and its fair price tag are the icing on the cake.